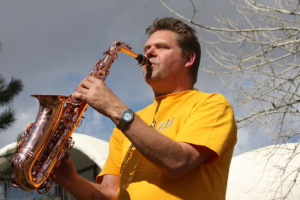 Derek is renowned for his energetic, vibrant, passionate and charismatic performances on all saxophones from baritone to soprano. He is an award winning performer having received the John Dankworth Award and British Jazz Award (small groups) among others. Derek has been a front line performer with the Jools Holland Rhythm & Blues Orchestra for years with whom his gigs now approach 100 each year. 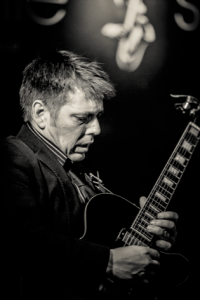 Accompanying him on this occasion will be Nigel Price, one of the most highly regarded and in demand guitarists on the U.K. jazz scene today. He is a regular performer at Ronnie Scotts. In 2010 Nigel, leading his own organ trio picked up the annual Parliamentary Jazz Award for “Best Jazz Ensemble”.